The United Arab Emirates (U.A.E.) have only issued gold coins since 1979, and only on a limited number of occasions. 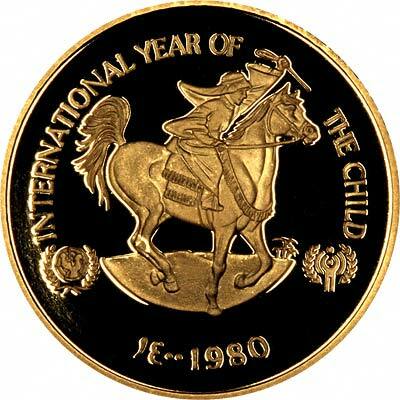 We show here a 1980 gold proof which was issued in conjunction with UNICEF in its Year of the Child initiative. 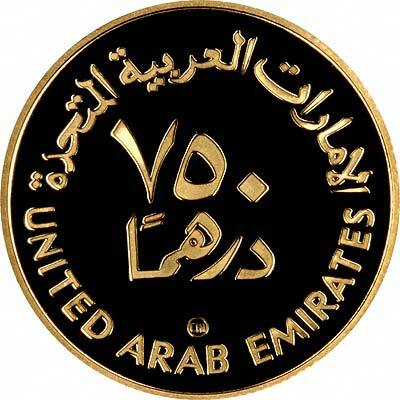 For silver and base metal coins of United Arab Emirates, please look at our original Chard Coins website.